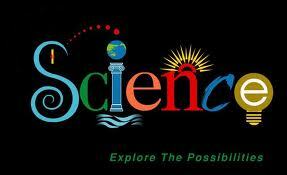 Repeatedly , again and again , we here " Science does not need a Creator , God is unscientific . " But , what those who make these claims are forgetting to mention is "what kind of science does not need a Creator and what kind of science makes God unscientific ?" Well , the kind of science making this claim is evolutionary science , the evolutionary paradigm is purely naturalistic and materialistic processes all by themselves over eons of time , with no goal directed purpose , producing what we observe within and including our Universe . This , is clearly , a deliberate rejection of a creator and would not need a Creator and would make God unscientific . BUT , modern science , the kind of science that is testable , repeatable and observable that enables us to study our Universe and all it contains clearly demonstrates ORDER , GOAL DIRECTED PURPOSES and COMPLEXITY . This true science has it's origins in men coming to the conclusion that there must be a creator and He has revealed Himself in His Creation .